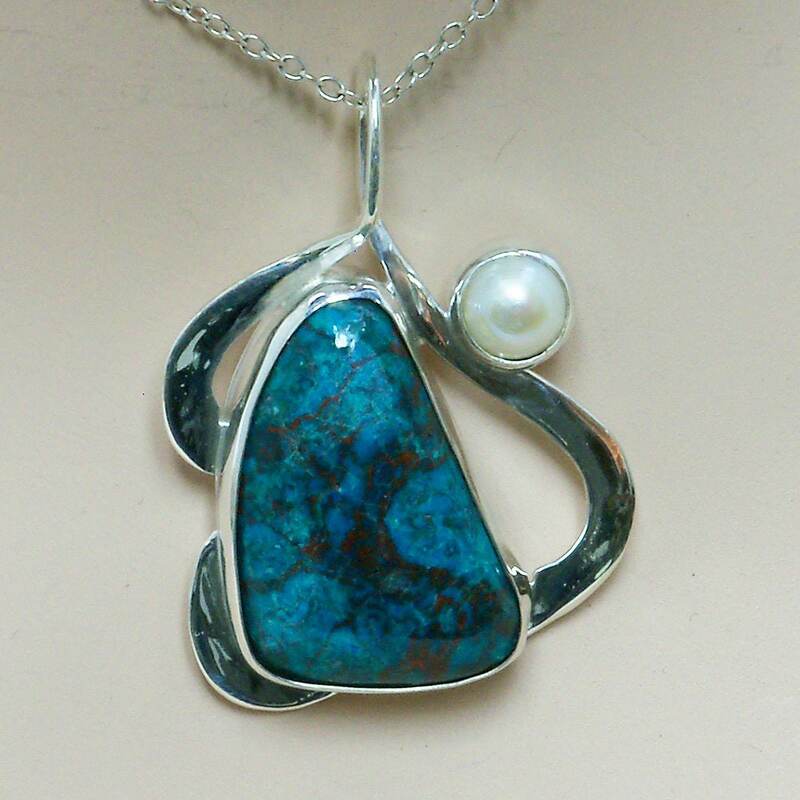 Chrysocolla and Sterling Silver Pendant with Fresh Water Pearl accent, 44. x 29.88mm. This is a one of a kind (ooak) art piece. 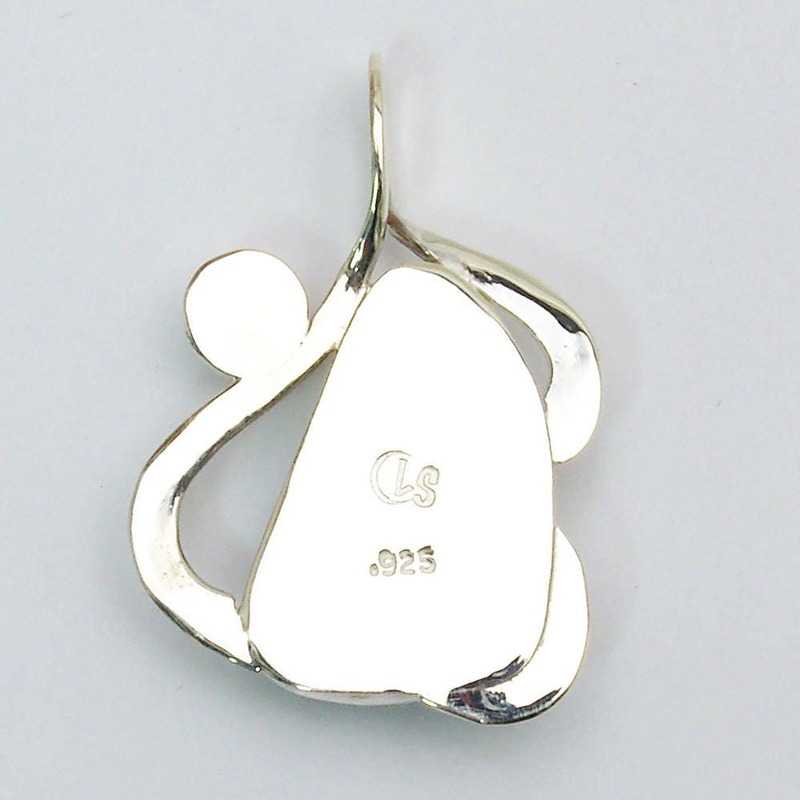 I personally hand cut the gemstone, then hand forged the metalwork to take advantage of the beauty of the cabochon. This cabochon features red matrix, something I've not seen often in chrysocolla. 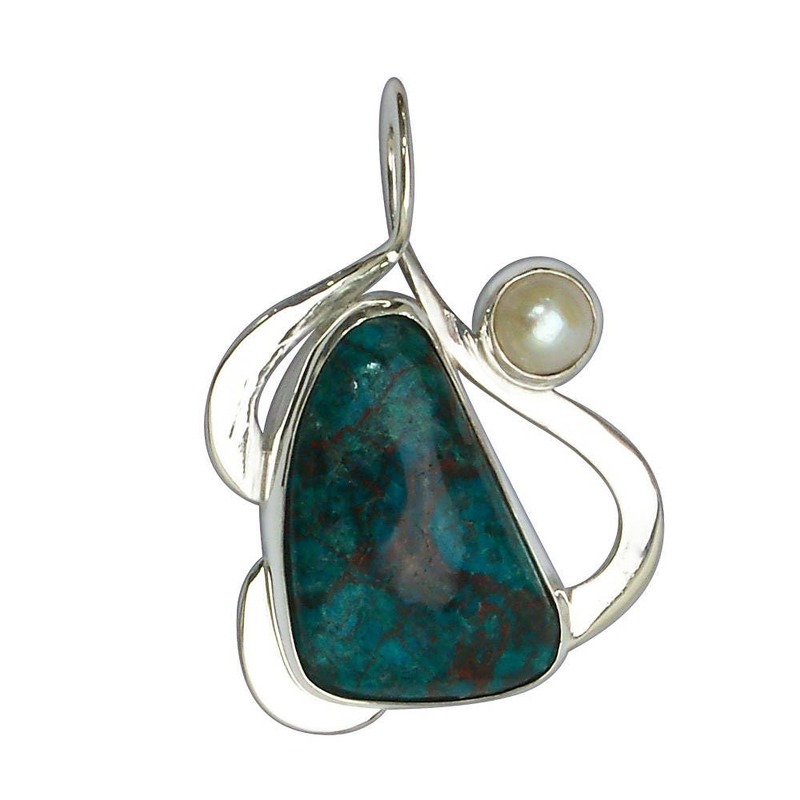 The gemstone Chrysocolla is often confused with turquoise. It is a copper bearing mineral found wherever copper deposits occur especially in areas of the southwestern USA, Chili, Zaire, Australia, France and England. Eliat Stone is a variegated blue and green mixture of chrysocolla and other copper minerals found in the Gulf of Aqaba, near the northwestern end of the Red Sea". 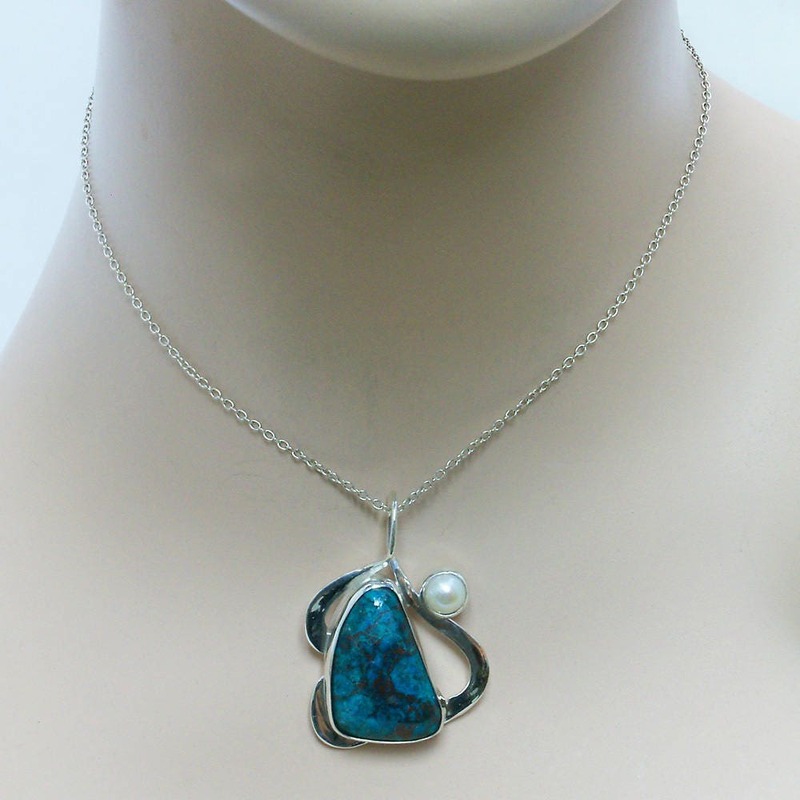 Pure chrysocolla is too soft for jewelry purposes but it is often found in quartz deposits which makes it hard enough to polish for cabochons. 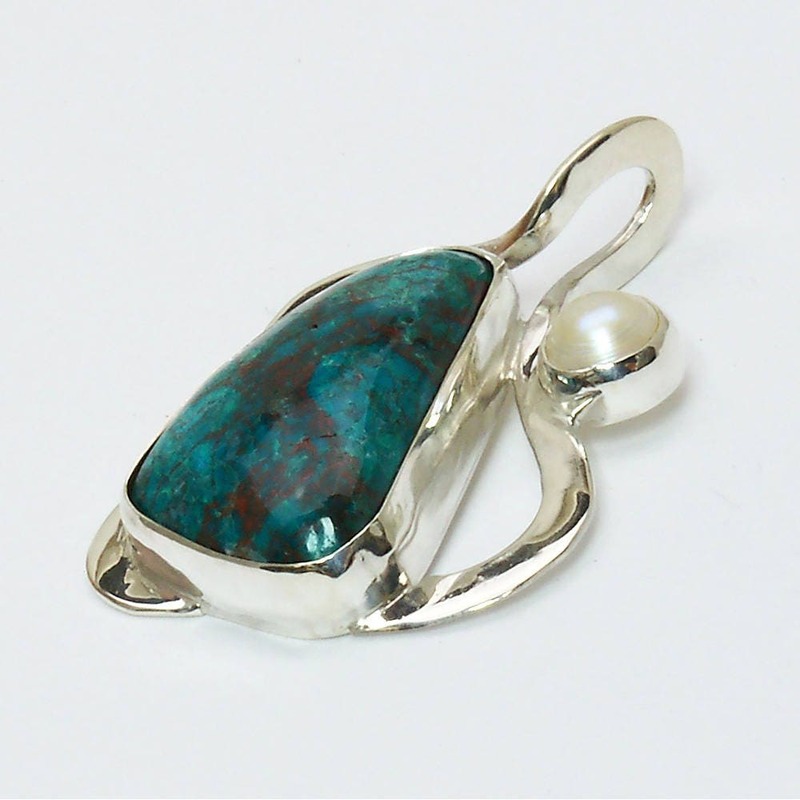 It is often found mixed with malachite, turquoise and azurite. The druzy form of chrysocolla is a beautiful Robin's egg blue. Metaphysical: conciliation, reassurance, wise stone, peace and tranquility, intuition, patience and unconditional love.